Microsoft releases a new update packages for Windows operating systems and other products on the second Tuesday of each month. Updates can be installed on computers through the Windows Update service (updates are obtained from Windows Update servers), internal WSUS server, or manually using MSU or CAB files. In most cases, updates fix the specific vulnerability or bug in Windows or other products. 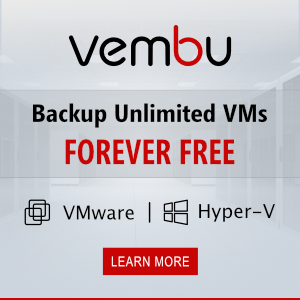 However, in some cases new updates can cause different issues in the system (due to flawed testing, engineering errors, hardware incompatibility, etc.) and the installed update has to be removed. It is easy (see the article How to remove installed Windows Updates). But what to do if after the installation of the updates, the system doesn’t boot and the blue screen of death (BSOD) is displayed? In this article we’ll consider this case: how to remove an incorrect update in Windows 10 / 8.1 / 7 if the operating system won’t boot properly. First of all, check whether the system can boot into one of the safe modes(to boot into Safe Mode in Windows 10/8, it’s enough to interrupt the boot using the Power button 3 times in a row). Tip. If the computer doesn’t boot after updating the Windows 10 build with the error “The computer restarted unexpectedly. 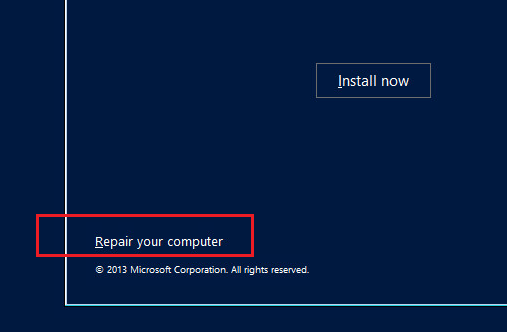 Windows installation cannot proceed” use the fix from the following link. If after the installation of a bad update Windows doesn’t boot in the Safe Mode as well, boot your computer from any available DVD/CD disk or USB drive: it can be Windows Recovery Environment (WinRE), Windows installation disk, ERD (MSDaRT) repair disk or any other bootable drive. Note. 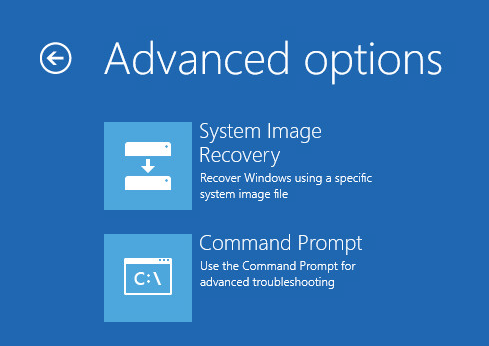 If the system doesn’t boot, the computer should automatically boot into the recovery environment with a command prompt support (in Windows 10 / 8.1). In our case, I’ll boot a computer using Windows 10 x64 installation disk. Tip. Any installation disk will suit to boot a computer (the main condition is to comply with the bitness of the OS). Thus, Windows 10 installation image can be used to recover Windows 7, but it won’t be possible to do it vice versa, since not all DISM commands and settings are supported in earlier OS versions. On the second screen with the prompt to start the installation, click Repair Computer or press Shift+F10. 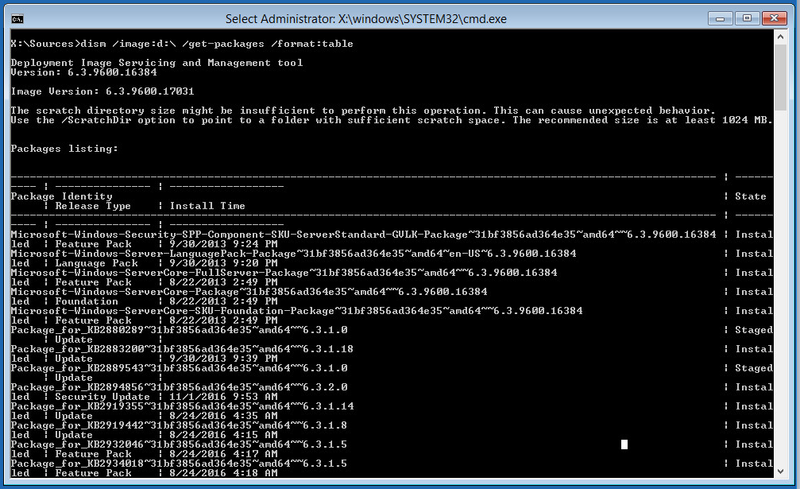 In the first case, select Troubleshoot -> Command Prompt. In the command prompt window that appears, you need to determine the drive letter assigned to the Windows system partition. (It can be any disk other than C:\). In our example, you can see that the drive letter D:\ is assigned to the system disk. Note. If the list of updates is too long, and you don’t know exactly, which of the latest updates caused the BSOD, the full list can be exported to a text file and opened in the Notepad (you can use the search function in it). Now you need to copy the identifier of the problem update package to the clipboard (select the name of the package in the command prompt using the mouse and press Enter; to paste the text, just right click where you need). If you don’t know exactly, which update has caused the problem, remove all recently installed packages one by one. After removing each update, restart the computer and check whether Windows is booting in normal mode. Easier to remove updates if you have an MSDaRT recovery disk. You just have to boot from the MSDaRT disk (the bitness must match), and select Diagnostics -> Microsoft Diagnostics and Recovery Toolset. 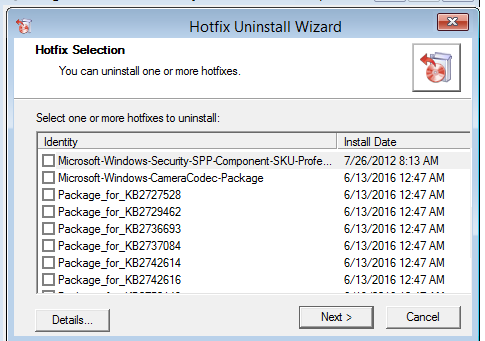 In the list of tools, select Hotfix Uninstall. Just select the updates you want to delete and click Next.